Over the past two weeks, 22 boats in the Chicago area have been ordered to cease operation due to illegal charter service. This discovery was part of a 39-boat search by the U.S. Coast Guard and the Illinois Department of Natural Resources (IDNR). IDNR issued 14 misdemeanor charges, including obstruction of justice. The Coast Guard issued several Notice of Violation citations – which totaled more than $50,000 according to a statement from the Coast Guard Ninth District. In order to be compliant, boats must have a Coast Guard licensed captain or a certificate of inspection onboard the boat. The order directs illegal charter boats to comply with federal laws and regulations before they can begin operating again. 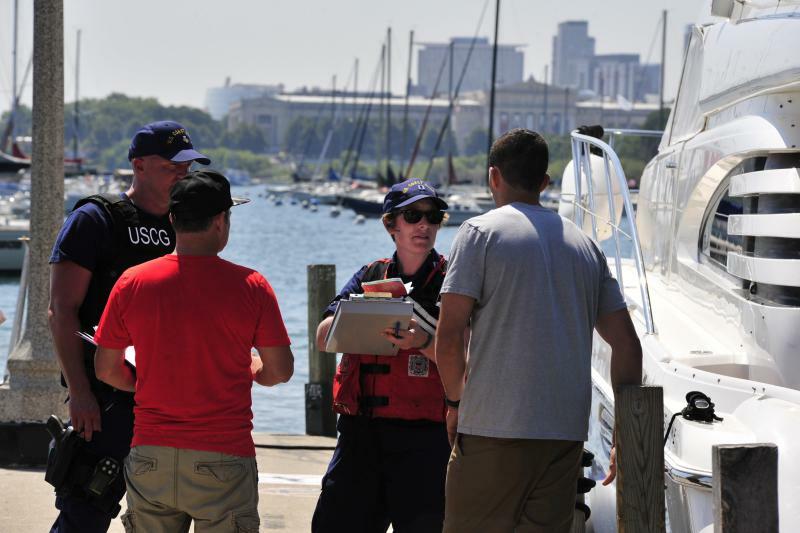 The Coast Guard encourages passengers to ask a boat operator in advance for proof that the vessel is compliant with federal standards. According to the Coast Guard, more boat owners are advertising their services through apps or websites but that doesn’t mean they are certified. The Coast Guard says it continues to educate beachgoers and prospective passengers on vessel safety.